Roof gutters and downspouts drain water from the roof to the ground and away from building foundations. Water falls a story or more through the downspout before hitting the elbow that directs the water away from the foundations. This may cause an irritating pinging or gurgling sound. 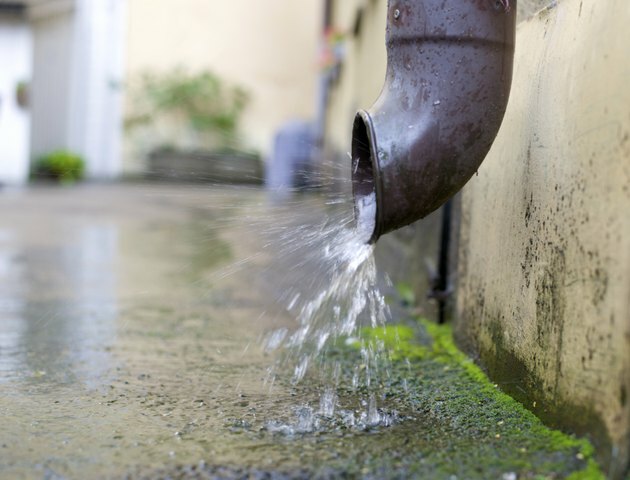 The sound of water flowing through a downspout can be overwhelming. Move the bottom of the drain spout further away from the building. As little as a half-inch shift allows water to slide down the side of the drain spout instead of hitting the metal elbow. Attach a 2-foot piece of heavy twine or nylon string inside the downspout at the gutter. The water will follow the string down the spout instead of falling freely and make less noise at the bottom. 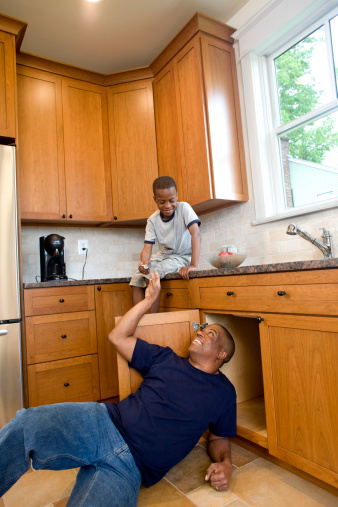 Shape a piece of screen to fit securely inside the drain spout above the elbow. This breaks the water up before it hits the bottom of the downspout. Glue or caulk a piece of indoor-outdoor carpeting, an asphalt shingle or a heavy duty scrubber sponge to the bottom of the drain spout where it bends. Instead of hitting metal, the water hits a softer material, making much less noise. A commercial product is available that uses magnets to attach a sponge-like device inside the downspout. Replace the final segment of the downspout with a plastic or vinyl segment instead of metal. Jeannette Hartman has been a writer 1984. Her work has appeared in the "Los Angeles Times" and on the websites of Cedars-Sinai Medical Center, the AIDS Healthcare Foundation and WISE & Healthy Aging. Hartman earned a Bachelor of Science in journalism from the University of Kansas and a Master of Business Administration from Pepperdine University.